The Gates White Suffolk stud, Flock #814 is located on 'East Mihi' and run by Rick and Julie Gates. 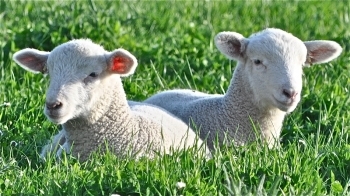 We are committed to breeding performance orientated sheep that will perform in strict commercial conditions. We don’t pamper our sheep but we do test them a lot and this enables us to be sure our clients receive an article with hardy constitution, growing performance and end product satisfaction. With the vision for the breeding group to have a terminal and maternal option in both sheep and cattle, the White Suffolk was the perfect option. The White Suffolk in Australia is driven by a pro-active breed society committed to taking the lamb industry forward as a high end protein source. We breed a White Suffolk ram that can aid our clients through the driving forces a terminal sire can impact upon. To further understand our breeding goals and direction please read what we have to say in White Suffolk Breeding Philosophy.